We are not responsible for the content or privacy practices on any web site not operated by Our Kids Publications Ltd. to which the Site links or that links to the Site. As implied in some submission forms, information is shared with some schools that list with our website. Contents of this site are targeted primarily at Canadian users, in compliance with Canadian laws. Note for EU users of this Site: we collect Google Analytics data. We consider this "necessary" in order to continue operating the Site, since a full understanding of the usage of this site is imperative for the clients represented on this site. Google controls this data and none of it is stored on servers related to ourkids.net. We never share or sell any personal information. Information or data sharing is not part of our business operations, excepting information you send to camps (your name and email address), which goes through our website form(s). We are not responsible for what clients do with your information once you submit information to them. If you are a user from the EU, and you have submitted this information to us in the past, we will remove it at your request. (If you would like it removed, send a request to [email protected]). We will also alert camps (clients) of your request. Several locations of the Site permit you to enter your email address for purposes including but not limited to: to request more information from one of our clients (ie: schools), to sign up for email newsletters and special offers. Your participation is completely voluntary, so you have a choice whether to participate and disclose information to us. Access to your personal information is restricted. Only employees who need access to your personal information to perform a specific job are granted access to your personal information. All of our email communications allow you to unsubscribe at any time. We may use Google AdWords Remarketing to advertise Our Kids properties (including camps.ca) across the Internet. AdWords remarketing will display relevant ads tailored to you based on what parts of the Site you have viewed by placing a cookie on your machine. This cookie does not in anyway identify you or give anyone access to your computer. The cookie is used to say "This person visited this page, so show them ads relating to that page." Google AdWords Remarketing allows us to tailor our marketing to better suit your needs and only display ads that are relevant to you. Read more about our cookies policy below. During registration for events, we may ask for more personal information, provided with users' explicit consent. If you submit information, you have the right to have that erased at any time, by submitting a request to Our Kids Publications at [email protected]. On school profile pages, users who are interested in requesting more information about a school are asked to submit contact information and some very basic personal information. This is intended only to provide generalized, relevant information for our clients, and is provided by users with their consent. If you submit information, you can have it removed by submitting a request to Our Kids Publications at [email protected]. (b) Communications with You: We will use your personal information to communicate with you about the Site. We may send you a service-related announcement on the rare occasions when it is necessary. Also, you may submit your email address for reasons such as to request more information from one of our clients (ie: schools), to sign up for email newsletters and special offers. If you submit your email address, we use it to deliver the information to you. We always permit you to unsubscribe or opt out of future emails (see the opt out section, below, for more details). (c) External Use. We want to provide you with excellent service and to offer you a great selection. We do not sell, rent, trade, license or otherwise disclose your specific personal information. When Our Kids Publications sends you emails, we may use tracking, cookies or a web beacon or these may be part of third party software we employ in bulk emailing. These only allow us to determine the number of people who open our emails and where traffic moves within our site. When you click on a link in an email, we may record this single response. While we use industry-standard precautions to safeguard your personal information, we cannot guarantee complete security. 100% complete security does not presently exist anywhere online or offline. If you have submitted data that is controlled by Our Kids Media, be assured that we take reasonable measures to comply with GDPR stipulations concerning the reporting of data breaches, especially those concerning submitted personal information. Upon your request, we will (a) correct or update your personal information and/or (b) stop sending emails to your email address. If you have submitted personal information to camps.ca you can request that we delete it. You can make these requests by telephoning, or emailing your request to Our Kids Publications at [email protected]. You can prevent the setting of cookies by using the cookie consent form that appears on your first visit. You can change your settings later. Google is working on a tool that allows users to control their personal information gathered through cookies related to Google Analytics (as of May 18, 2018). If you have submitted personal information that is controlled by Our Kids Media (owners of camps.ca), send a removal request to [email protected], and we will respond as soon as we can. You can also adjust the settings on your browser (see your browser Help for how to do this). .
Changing your Cookie Settings using your browser. The browser settings for changing your cookies settings are usually found in the 'options' or 'preferences' menu of your internet browser. In order to understand these settings, the following links may be helpful. Otherwise you should use the 'Help' option in your internet browser for more details. As we process leads, it's important for us to understand statistics about how many of the visitors to our site actually make inquiries to our clients through our email and other query forms. This is the kind of data that cookies help us to track, making it possible to offer users the most relevant information about schools. It also helps us to price our marketing products (including this website) fairly for schools. For more information on Google AdSense see the official Google AdSense privacy FAQ. Again, if you do not wish to participate in our Google AdWords Remarketing, you can opt out by visiting Google's Ads Preferences Manager. We also use social media buttons and/or plugins on this site that allow you to connect with your social network in various ways. For these to work, social media sites (including Facebook, Pinterest, Twitter and others) will set cookies through our site which may be used to enhance your profile on their site or contribute to the data they hold for various purposes outlined in their respective privacy policies. Facebook Connect. For more information about what Facebook collects when you use Facebook buttons on camps.ca please see: Data Policy. Twitter. For more information about what Twitter collects when you use Twitter buttons on our platform or when you visit pages on our site that include these buttons, please see: https://twitter.com/en/privacy. This website's content is not directed to children under the age of 13. We do not knowingly collect personal information from children under 13 or under the applicable age limit (the “Age Limit”). If you are under the Age Limit, do not use the Service and do not provide any personal information to us. 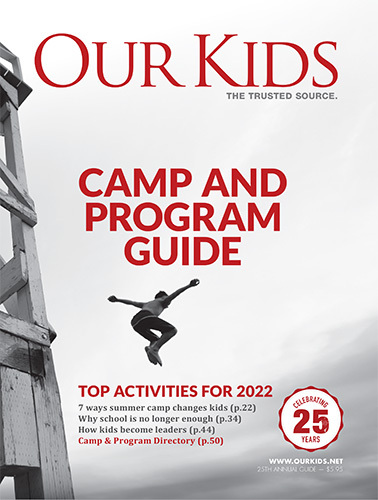 If you are a parent of a child under the Age Limit and become aware that your child has provided personal information to camps.ca, please contact us at [email protected] and you may request exercise of your applicable access, rectification, cancellation, and/or objection rights. If you are a California resident under the age of 18 and you wish to remove publicly available content, please contact us at [email protected]. This Policy is intended to provide adequate and consistent safeguards for the handling of personal information in accordance with Directive 95/46/EC of the European Parliament and of the Council of 24 October 1995 on the protection of individuals with regard to the processing of personal data and on the free movement of such data and all the relevant transposing legislation of the Directive in the European Union/European Economic Area, the Swiss Federal Data Protection Act, as such laws may from time to time be amended and valid during the application of this Policy, the Privacy Shield, and any other privacy laws, regulations and principles concerning the collection, storage, use, transfer and other processing of personal data transferred from the European Economic Area or Switzerland to the United States including but not limited to the Regulation (EU) 2016/679 of the European Parliament and of the Council of 27 April 2016 on the protection of natural persons with regard to the processing of personal data and on the free movement of such data, and repealing Directive 95/46/EC (“the General Data Protection Regulation”) as of its entry into force on 25 May 2018. Data will be accurate and, where necessary kept up up-to-date. Appropriate steps will be taken to rectify or delete personal information that is inaccurate or incomplete. Data will be kept only as it is necessary for the purposes for which it was collected and processed (as described above). Appropriate technical, physical and organizational measures will be taken to prevent unauthorized access, unlawful processing and unauthorized or accidental loss, destruction or damage to data. In case of any such violation with respect to personal data, Our Kids Media will take appropriate steps to end the violation and determine liabilities in accordance with applicable law and will cooperate with the competent authorities.